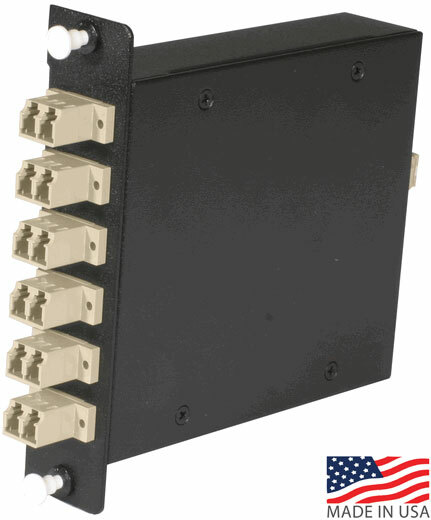 CablesPlus USA provides Lightwave Multimode OM1 MTP/MPO Fiber Cassettes in a wide selection of connector style and modes. Use these MTP cassettes for connecting other cassettes, as well as transceiver modules using our MTP/MPO Fiber Optic Cables. These 62.5/125 micron optical cassettes are fully assembled and ready to use, with pre-terminated and pre-tested fiber harnesses already loaded in the cassette. The cassettes can easily be snapped into standard WAC and RAC fiber enclosures.